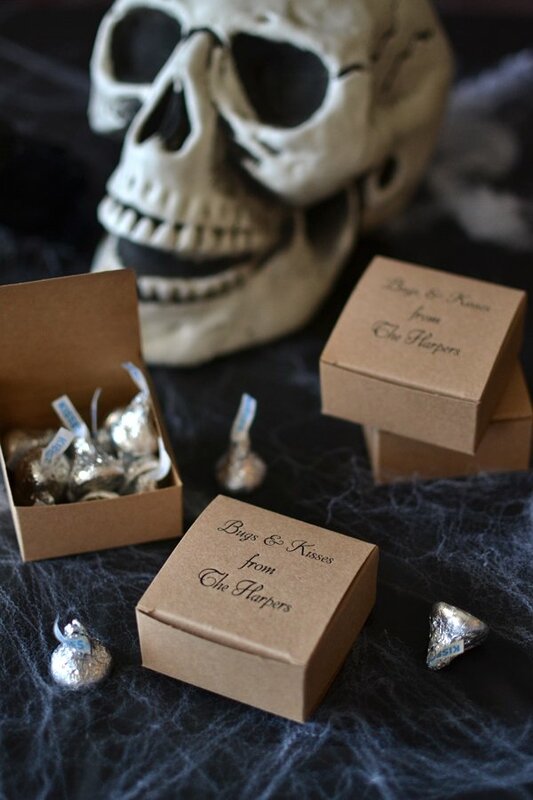 These mini Halloween candy boxes are great for filling with small chocolates, candy, and treats. The perfect size for guest favors and souvenirs. Each mini box measures 2 1/2 inches wide by 1 1/8 inches tall. Personalize your favor boxes with up to three lines of text or with a design and one line of text. Some filler ideas include Hershey's kisses, cake balls, buckeyes, or chocolate covered nuts and raisins.